Last week, while FIFA was firing the heads of its Ethics and Governance committees, the press was overwhelmed with ‘breaking news’ on the most expensive transfer in history, the come back of Paul Pogba from Juventus F.C. to Manchester United. Indeed, Politiken (a Danish newspaper) and Mediapart (a French website specialized in investigative journalism) had jointly discovered in the seemingly endless footballleaks files that Pogba’s agent, Mino Raiola, was involved (and financially interested) with all three sides (Juventus, Manchester United and Pogba) of the transfer. In fine, Raiola earned a grand total of € 49,000,000 out of the deal, a shocking headline number almost as high as Pogba’s total salary at Manchester, without ever putting a foot on a pitch. This raised eyebrows, especially that an on-going investigation by FIFA into the transfer was mentioned, but in the media the sketching of the legal situation was very often extremely confusing and weak. Is this type of three-way representation legal under current rules? Could Mino Raiola, Manchester United, Juventus or Paul Pogba face any sanctions because of it? What does this say about the effectiveness of FIFA’s Regulations on Working with Intermediaries? All these questions deserve thorough answers in light of the publicity of this case, which we ambition to provide in this blog. On 3 August 2012, 19 years old Paul Pogba moved from Manchester United to Juventus on a free transfer. Four years later, his comeback to Manchester United was the most expensive transaction that the history of football ever recorded. Interestingly (and controversially), the latter transfer involved only one agent, Carmine “Mino” Raiola, acting on behalf of the three parties involved in the transaction. Indeed, on 20 July 2016, Raiola signed an agreement with Juventus stipulating that one of his companies, Topscore Sports Ltd, was contracted to find a suitable acquirer for the player before 31 August 2016 in return of a hefty commission payable by Juventus if Pogba was transferred for a minimum fee of €90,000,000 below which the club was not prepared to sell the player and the company was not entitled to any remuneration. A year before, one of Raiola’s many companies, Topscore Sports Ltd, had already been appointed by Juventus as of 1 March 2015 to facilitate the transfer of Pogba. The 2016 contract acknowledged that Topscore Sports Ltd succeeded in “creating hype around the future transfer” and triggered “a bidding war” to recruit the player. Hence, pursuant to the 2016 agreement, if Topscore managed to secure a transfer above the minimum fee, Juventus would pay to Raiola’s company €18,000,000. Furthermore, Raiola would earn €3,000,000 more for each €5,000,000 increase above the minimum fee of the final amount. Simultaneously, on 27 July 2016, Mino Raiola signed a representation contract with the player through the Monaco based company Uuniqq Srl. 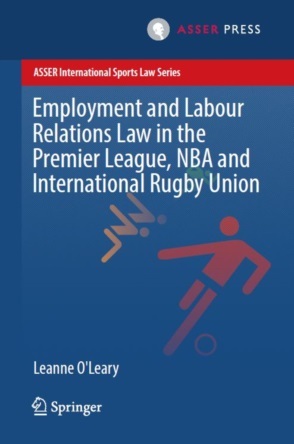 The contract provided for a commission “amounting to 5% of the Player’s Basic Gross Income as result of any employment contract negotiated or renegotiated by the Intermediary”. While, on 8 August 2016, Raiola concluded, again through Uuniqq Srl, an agreement with Manchester United. On 9 August 2016, Juventus and Manchester United agreed to the transfer of Pogba for a compensation of €105,000,000. Pogba obtained a salary of €10,200,000 in 2016/2017, reaching €13,800,000 in 2017/2018. On top of that, he also secured a €2,200,000 bonus every time Manchester United qualifies for the Champions League and a €1,160,000 one in case he wins the ballon d’or. According to the agreement with Manchester United, the agent would be paid for his intermediary services five installments of €3,883,658 each, payable every 30 September from 2017 to 2020. In addition to that, Manchester United was undertaking the duty to pay the player’s fee to the agent. Consequently, Uuniqq Srl was also due to receive five installments of €516,342 each, payable on the same dates. To sum up, as a consequence of Pogba’s transfer from Juventus to Manchester United, Topscore Sports Ltd collected a total commission of €27,000,000 from Juventus, consisting of the agreed minimum of €18,000,000 plus an additional €9,000,000 for overshooting his targeted transfer fee. Uuniqq Srl got a total commission of €22,000,000, resulting from the €19,420,000 (5 instalments of €3,883,658 each) paid by Manchester United as “club services” and €2,580,000 (5 instalments of €516,342 each) paid by the club as “player’s services” on behalf of Pogba. This is the contractual set-up leading to the headline number of € 49,000,000, but is it actually legal? There is a tremendous amount of confusion in the press regarding the legality of the above-explained contractual arrangements. For example, FIFA might be investigating the transfer, but in practice it is not in a position of enforcing any direct sanctions, besides a fine for any misleading declarations of Manchester United or Juventus to the FIFA TMS, against the clubs, the player or the intermediary. Indeed, since the entry into force of the new FIFA Regulations on Working with Intermediaries (RWI) in 2015, the responsibility to police intermediaries has been delegated to national federations, in the present case the English FA and the Italian FIGC. It means in practice that the key question is whether Raiola, the clubs or the player complied with the obligations enshrined in the federations’ regulations. The Italian FIGC has not fulfilled its basic transparency obligations under the new FIFA rules, and should be sanctioned by FIFA for not doing so, thus it is impossible to assess whether Raiola and Juventus have complied with the FIGC’s rules. However, the FA has done his regulatory homework well and we believe that the case will raise numerous questions with regard to the compatibility of the behaviour of the parties with the FA’s Regulations on Working with Intermediaries (FA RWI). Is Mino Raiola's total fee/commission in breach of the FA RWI? The fees payable to Mino Raiola by all parties involved in the transfer (Manchester United as “the registering club”, Juventus as “the former club” and Pogba as “the player”) seems to be the most controversial, and peculiar, aspect of the transfer. Mino Raiola is to receive almost 38% of the total value of Pogba’s contract from Manchester United and only 5% from Pogba directly. Despite the fact that the amount of these fees seems excessive in comparison to market standards under which the level of intermediary commission varies between 5% to 10% and in some of the most extreme cases 20% (see here and here), they do not as such breach the FA RWI. The English FA regulates remuneration payable to intermediaries under section C of its regulations and the indicative level of commission is at 3% (regulation C11). However, this is only a “recommendation” and is aimed at providing guidance to the market and not at constituting an absolute requirement. The non-binding nature of this restriction on the level of commission means that the parties to the transfer are free to negotiate a higher level of commission and this seems to be the case for the representation contracts between Manchester United, Pogba, and Mino Raiola. Additionally, the level of commission, if payable by the player, is to be calculated in accordance with the player’s gross annual income for the entire duration of the relevant employment contract (Article C11.a) whereas the Club’s fee is either based on the player’s gross annual income for the entire duration of the relevant employment contract (Article C11.b) or on the transfer compensation (transfer fee) paid in connection with the transfer (Article C11.c). Both the club and the player are entitled to make the payments to the intermediary in a lump sum or periodic instalments (Article C3 and C7). The club can also make the payments to the intermediary on behalf of the player, if a written request made by the player to do so, and periodic deductions from player’s salary can be made by the club to sanction those payments (Article C2.b). In the light of these provisions of the FA RWI, the representation contracts published by the Danish news outlet, Politiken (see here) clearly prescribe the remunerations and payment schedules to Mino Raiola by both Manchester United and Pogba and these contractual arrangements seem to be in compliance with the regulations. Can Mino Raiola represent all parties to the transfer? The other controversial aspect of the transfer is the representation arrangements by Mino Raiola in respect of Manchester United, Pogba and Juventus. According to the documents published by Politiken and Mediapart, Mino Raiola represented both Manchester United and Pogba under the same transaction. At this point, distinction needs to be made between the dual representation (the intermediary represents the player and either the registering or the former club) and the multiple representation (the intermediary representing the player, the registering club and the former club) as the FA RWI uses both terminologies interchangeably. However, the distinction between the dual and the multiple representation becomes clear under the Intermediary Declaration Form IM1 (see here), the document that must be completed by all parties to the transfer and lodged with the English FA. The document clearly outlines declaration requirements in respect of representation of the player, the registering club and the former club. The representation arrangements between Manchester United, Pogba and Mino Raiola is a dual representation, which is clearly acknowledged by the English FA in its annual disclosure of individual transactions registered, where Mino Raiola and his company, Uuniqq Srl, are listed as the representative of both the Club and the Player (see here). Additionally, as mentioned above, Mino Raiola had also a representation contract with Juventus for the sale of the player. Under the circumstances, it seems the representation contract with Juventus adds another layer to the representation arrangements and constitutes the element of multiple representation with regards to the FA RWI. These arrangements clearly raise the possibility of a conflict of interest, therefore, the English FA allow dual/multiple representation only if the intermediary and the other relevant parties to the transfer strictly comply with the consent requirements of its regulations (Article E1). Otherwise the intermediary may only act for one party to the transfer (Article E1) and cannot receive any remuneration from other parties (Article E3). Firstly, if the intermediary has a pre-existing representation contract with one party (“the first party”) to the transfer, then that contract should be lodged with the English FA (Article E2.a). In this case, the extracts of representation contract refer to “the player representation contract” between Pogba and Mino Raiola which seems to indicate the existence of a representation contract prior to the multiple representation arrangements. Therefore, it is safe to assume that Pogba could be “the first party” to the transaction and the existing representation contract can constitute a pre-existing representation contract under the FA RWI which should have been lodged with the English FA prior to the other representation arrangements. Secondly, the intermediary should obtain all parties’ (emphasis added) prior written consent to provide services to any other party to the transaction (“the other party(ies)”) (Article E2.b) meaning that Mino Raiola should have obtained the consent of Manchester United, Pogba and Juventus to enter into the multiple representation arrangements. Then, once the intermediary and the other party(ies) agree on the terms of representation, prior to entering into actual representation contracts, the intermediary must inform all parties of the full details regarding the proposed fee to be paid by all parties to the intermediary (Article E2.c). Mino Raiola, should not only have sought the consent of all parties to the multiple representation but also disclosed them the level of fees payable to him by each party. Finally, all parties to the transfer should be given opportunity to seek independent legal advice on the proposed arrangements and provide their written consent for the intermediary to enter into dual/ multiple representation arrangements with other parties (Article E2.d, E2.e). As a result, the key focus of the investigation initiated by FIFA but which will inevitably move to the English FA seems to be whether Mino Raiola complied with the regulatory requirements imposing written consent prior to entering into the multiple representation arrangements. Due to the involvement of different companies located in multiple jurisdictions, it is particularly important that the representation contract with Juventus was disclosed to other parties of the transfer, i.e., Manchester United and Pogba and included under the IM1 form. A potential non-compliance with these requirements would constitute a regulatory breach. The omission of information under the relevant paperwork by the parties might be considered as the concealment or misrepresentation of reality and/or substance of any matters in relation to the transaction which is also regulatory breach (Article A3). Any regulatory breach shall be misconduct and sanctioned accordingly (Article F1). All parties involved have potentially, if a multiple representation agreement was not disclosed to the FA, breached the FA rules. However, only Juventus and Raiola knew with certainty about this multiple heads. It is doubtful that the FA could sanction Juventus, which is out of its jurisdictional reach (one could potentially envisage a transfer ban to the FA). Yet, Raiola’s multiple companies must be registered with the FA to conclude transfers with Premier League clubs, thus if he fails to demonstrate that he obtained prior written consent from all the parties to the multiple representation, one could envisage that the FA would suspend their registrations. Who has authority to investigate and sanction Mino Raiola for regulatory breaches (if there is any)? The final central question is: which governing body, in this case either the English FA, the Italian FIGC or FIFA, has the authority to investigate and sanction potential regulatory breaches in the transfer? The jurisdictional nexus derives from the international dimension of a transfer involving two different associations, (English FA and Italian FIGC) and the application of FIFA Regulations on Status and Transfer of Players (FIFA RSTP). It gets even more complicated if Raiola’s original intermediary registration with the Dutch FA is taken into consideration. Against this background, the FIFA Regulations on Working with Intermediaries (FIFA RWI)’s fundamental aim was to bring some transparency in an opaque market and Article 9.1 FIFA RWI authorises associations to hand out sanctions on any party under their jurisdiction that commits regulatory breach of FIFA regulations as well as their statutes or regulations. The article implies therefore that either the English FA or the Italian FIGC (or the Dutch KNVB) may have the authority to sanction Raiola if he falls under their jurisdiction. In the case of intermediaries, the jurisdiction is generally inferred by the registration and the English FA obliges any applicants to submit to its jurisdiction through the declaration under its intermediary registration process. A close scrutiny of the English FA’s intermediary disclosures reveals Mino Raiola’s intermediary registration as natural person (see here). He has also registered his five companies as legal persons including Uuniqq Srl (see here) which is the one used for the transfer of Pogba with the English FA. These registrations could provide the English FA with jurisdiction over Mino Raiola to investigate the transaction and, if any regulatory breach is proven, to impose any sanctions. The investigative power of the English FA over Minor Raiola also derives directly from his registration under which he consented to communicate to the English FA , for the purposes of investigation, all contracts, agreements and records in connection with his activities as an intermediary. Moreover, if for any reason Mino Raiola gets eventually sanctioned by the English FA, FIFA would have the authority to extend the sanction worldwide (Article 9.2 of FIFA RWI). What are the broader lessons we can learn from this case? First, the transfer market remains, despite the recent TPO ban and FIFA RWI, an opaque market on which conflicts of interest are routine. In this regard, FIFA’s decision to retreat from any direct involvement in the regulation of intermediaries, despite the obvious shortcomings of the old licensing system, has proven to be a relatively poor and to some extent incoherent choice. The legitimate objectives invoked to ban TPO are in turn betrayed by the decision to let go of any supervision of intermediaries. In general, the cognitive dissonance of FIFA vis-à-vis the transfer system is striking, it attacks on the one hand (rightly in the view of one of us) the financiarization of football through TPO, but supports it on the other by maintaining in place a system that transforms players into speculative assets. Second, the scope of regulation of intermediaries is now exclusively dependent on the decisions of national federations. If the English FA decides to crack down on conflicts of interest in the transfer market, it will have a tremendous impact on the way intermediaries operate. The English market represents a huge share of the whole transfer market and is hardly avoidable for major intermediaries. Further, if the federations of the so-called big five (England, France, Italy, Germany, Spain) leagues would accept to coordinate their intermediaries’ regulations, they would have such a dominant market position that in practice they would very much define how the transfer market operates. In this regard, the Pogba case will be decisive (and symbolic) to determine whether the English FA is ready to lead the way down a stricter regulatory road. Third, fans (and their clubs) are the ultimate losers of this state of play, they should rebel! The intermediaries’ fees are a consequence of the structural lack of competition and transparency in the transfer market. In the end, those who are going to the stadium every week or have an expensive subscription to watch the Premier League are paying the intermediaries. We the consumers of football are the ones on the losing end of this masquerade of a market. If clubs are unwilling to assert their contractual rights against ruthless intermediaries, it is unlikely for example that Manchester United will ask compensation from Mino Raiola if he omitted to inform them of the obvious conflicts of interest in the Pogba transfer, their supporters (and shareholders) should try to force them to do so. A Bridge Too Far? 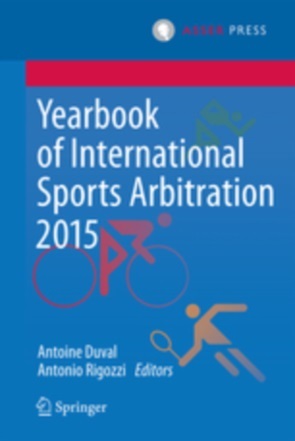 Bridge Transfers at the Court of Arbitration for Sport. By Antoine Duval and Luis Torres.